The book analyzes Adventist doctrines such as Sabbath-keeping, Soul-sleep, Annihilation of the wicked, Ellen White as a Prophetess, Investigative Judgment, and Misuse of the Mosaic Law. Another chapter is titled “Why Some Have Considered Seventh-day Adventism Evangelical.” This analyzes Walter Martin’s (author of Kingdom of the Cults) faulty view of Adventism. The 2nd edition (1999) includes selections from D.M. 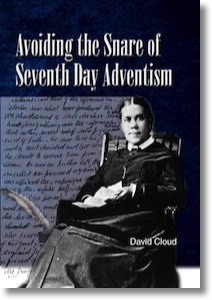 Canright’s 1898 book Seventh-day Adventism Renounced. Canright was an early leader in Adventism who left and became a Baptist pastor. The 2nd edition also includes a chapter entitled “Adventists Wanted Me to Revise This Book,” describing the attempt by the Seventh-day Adventist denomination to have me change the book.